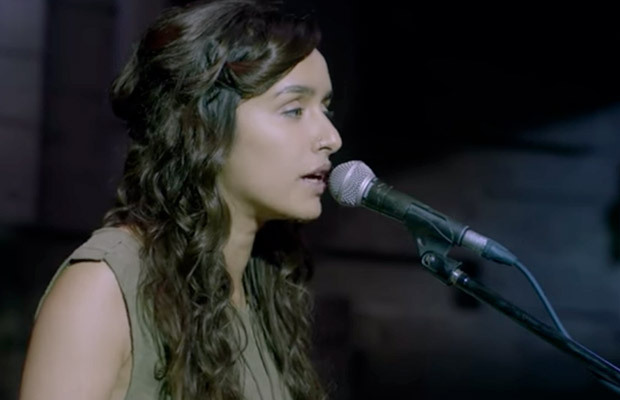 Today, a new song from Rock On 2, Tere Mere Dil, sung by Shraddha Kapoor released. The song is about love, heartbreak, and emotions. Shraddha’s voice in the track is quite soothing and wonderful. Credit should also be given to Shankar–Ehsaan–Loy’s music and Javed Akhtar’s lyrics, that blend so perfectly. In the video, the Ek Villain actress is singing the song. There’s nothing much revealed in the video about the film, but her voice will keep you hooked to the track. In fact, this is one of her best songs she has sung till date. Rock On 2 also stars Farhan Akhtar, Arjun Rampal, and Purab Kohli in the lead roles. The film is a sequel to 2008 superhit film Rock On. The sequel is helmed by Shujaat Saudagar. The teaser came out a few weeks ago and looks exciting. Prachi Desai is also a part of the sequel. It would be exciting to see Shraddha joining the Magik band in the film. Her voice will definitely take the songs in the film to another level. Rock On 2 will hit the theatre screen on November 12. Previous articleRanbir Kapoor Is An Ardent Lover, And We Have A Proof! Next articleShah Rukh Khan And Salman Khan To Come Together For This Show?